Louis Levy was musical director at Elstree Studios, but also had his own private recording studios. They were one of very few recording studios outside the major record labels that were established in the thirties, a unique feature being their pressing factories they operated at Aston Clinton and Colnbrook. From these factories they pressed their own labels Oriole and Embassy records and also exported discs to the far corners of the British Empire. Levy's also owned a world-renowned record shop in Whitechapel which had its on in-house label. Alongside Star, Recorded Sound and Guy de Beir (subsequently renamed Advision), they pioneered an independent recording service for aspiring amateur and professional singers, solo musicians and orchestras. Levy Sound Studios would also produce Transcription Records of radio broadcasts. The business, on his retirement, was taken over by his two sons, Morris and Jacques. The Archive holds Levy solid-stock records, direct-cut acetates and Transcription Acetates from RSCM Courses, St Mary's Chatham and St Mary-of-the-Angels Song School. Listen to one of the St Mary-of-the Angels Song School recordings on the Levy label and read more about John Salt. No information can be found on this company who made direct-cut acetates from a choirs own reel-to-reel tapes and Transcription Acetates from radio broadcasts. ​They were probably based in the Kent area. The Archive has a direct-cut acetate and a Transcription Acetate from this company. A one-man operation run by the Revd. W. Llewelyn George of Brighton. He produced limited runs of solid-stock shellac pressings, direct-cut acetate records and Transcription Acetates from radio broadcasts. He also undertook location recording on reel-to-reel tape from which he produced solid-stock shellac records. 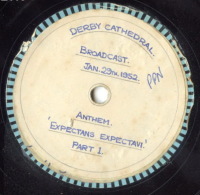 No information can be found about this recording company but from the information on the label it appears they undertook location recording with mobile equipment and issued direct cut acetates and solid stock records. The Archive has this one direct cut acetate on the Mayfair label dating from the 1940s. The Modern Recording Company of Piccadilly Arcade London was a private recording studio who also produced solid stock pressings for limited sales. 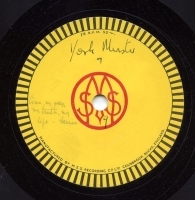 MSS were one of the major manufacturers of acetate (lacquer) discs used by private recordings studios. 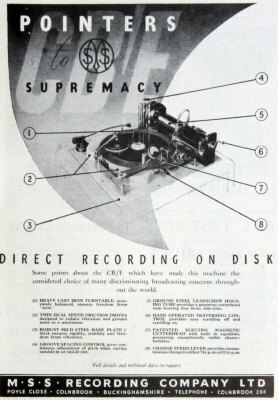 MSS also developed and sold the disc recording machine for use with their lacquer discs; a machine so outstanding it was used by all the major recording studios. 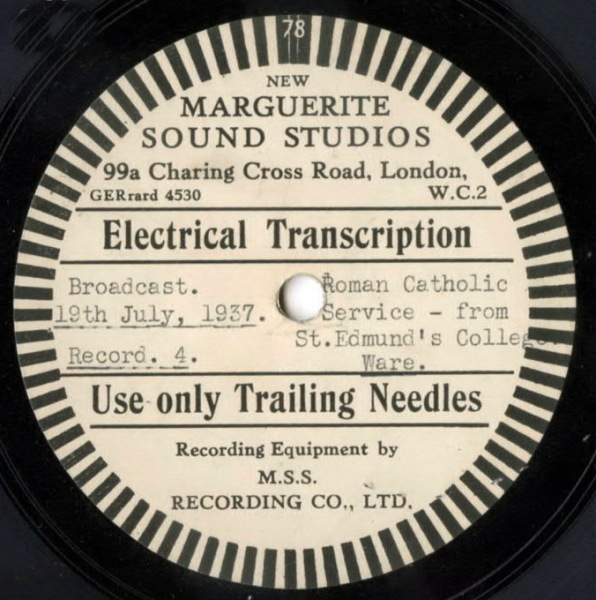 They also specialised in recording live radio broadcasts onto direct-cut 78rpm acetates which were known as Acetate Transcription discs, in other words, transcriptions of radio broadcasts. The Archive has many of these discs, and not just from MSS, as many other recording companies provided this invaluable service. This is why so many early radio broadcasts have survived. Watts developed the lacquer disc after he was present at a recording session in the 1920s and saw the huge effort and time wasted by the major record companies in setting up and using the thick wax masters. In late 1934, Cecil Watts commercially introduced his new type of lacquer transcription disc. It consisted of an aluminium core disc coated with black cellulose nitrate lacquer, although for reasons which are unclear it soon came to be called an "acetate" disc by radio professionals. By 1961 MSS were manufacturing magnetic recording tape, blank discs, recording equipment and accessories with over 170 employees. 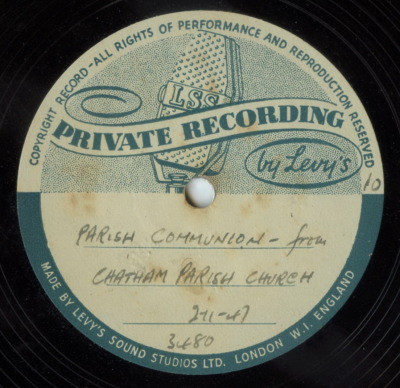 Master Sound themselves, with their own acetate discs and transcriptions discs, together with the provision of recording equipment to other record companies provided, albeit unknowingly, an invaluable service to recorded church music. The Archive has an extensive collection of Master Sound 78rpm acetates (as well as from other companies) and their historical importance cannot be over emphasised. 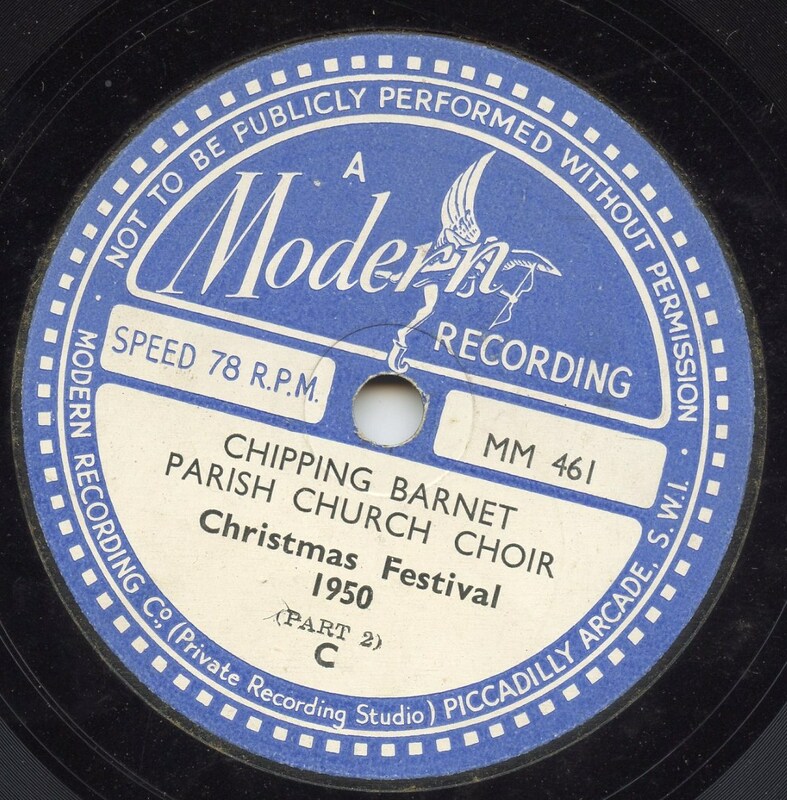 Some of the greatest treasures in the Archive are 78rpm acetate discs of choirs and of radio broadcasts on Transcription acetates. ​Given the short playing time of a 78rpm record, often twenty or more discs were needed to record a radio broadcast! 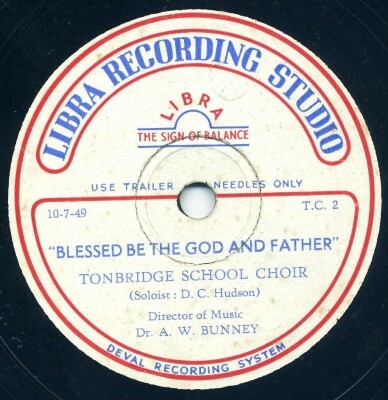 The label above is of the earliest radio broadcast in the Archive, preserved on a set of four MSS acetate transcription 78rpm records. Click on the gramophone record to play.